Hi Everyone! 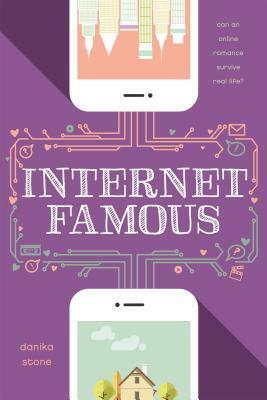 So as you can see, I am participating in Xpresso Blog Tour's tour for Internet Famous. They have supplied me with a copy of this book in order to provide an honest review. Please note that this has not affected my opinion in any way. High school senior and internet sensation Madison Nakama seems to have it all: a happy family, good grades, and a massive online following for her pop-culture blog. But when her mother suddenly abandons the family, Made finds herself struggling to keep up with all of her commitments. Fandoms to the rescue! As her online fans band together to help, an online/offline flirtation sparks with Laurent, a French exchange student. Their internet romance - played out in the comment section of her MadLibs blog - attracts the attention of an internet troll who threatens the separation of Madi's real and online personas. With her carefully constructed life unraveling, Made must uncover the hacker's identity before he can do more damage, or risk losing the people she loves the most... Laurent included. This book sounds super relatable, in a few places. I am really excited to read this book. I remember voting for this cover and when Xpresso Blog Tours said that they are hosting a tour for this book, I knew I had to jump on this band wagon. I am ready to jump into this book and see how much I can find relatable and how much I find not to be so accessible as I thought it would be. Who's ready for this book? Thank you so much to Xpresso Book Tours for sending me a copy of this book to review for its blog tour. Please note that in no way has receiving this book affected my opinions. All thoughts are my own. This book was super easy to read and I have to be honest and say that I believe that thanks should be given to the multimedia format. I didn't connect to the author's writing. There were some moments where I could visualize what was happening in the book but those moments were far and few between. The plot was good for the most part. But for some of it, I thought that it fell sort of flat and too intangible. There were however a lot of accessible moments for me! I thought it was quite interesting to see how Madi handled the troll. However at the end of the day, I enjoyed the story and thought it was cute. I couldn't connect with the characters. To me they felt flat and only had moments where they had more dimension. I had no idea what made Madi, Madi. Instead I knew who she was, what she does and who her family was. But what where interest besides blogging? How did her room look? Did she have a big bed or was her favourite color orange. There was a huge lack of personal background in my opinion. Overall, I thought that this story was cute. Yes it had flaws but I definitely think that this is one of those really nice contemporaries that get you in the mood for the rest of summer. Would I read it again, mmm... Maybe. Would I recommend this to people, well for those who like any and all contemporaries, definitely! Thank you to Xpresso Book Tours for sending me this book! The first book in Danika's upcoming Tathagata series (Edge of Wild) was selected as a quarter-finalist in the Amazon Breakthrough Novel of the Year Award (2013). Edge of Wild (Stonehouse CA) will be released March 2016. Danika's YA novel, All the Feels (Macmillan YS), will be released June 2016. Thanks for being on the tour! 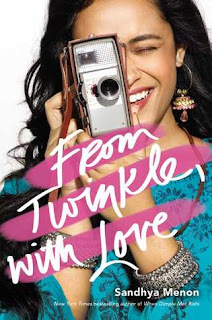 :) This sounds like a cute read!